Singapore mum with placenta previa reveals, "I don't want to scare other mums but fact is, I almost lost my life..so many things were going on..."
Mummy Siti Yunos first reached out to theAsianparent with a message, "I am a mummy going through placenta previa, and due to deliver in September. It's not a common situation in Singapore. I would like to share my story after my delivery..."
This was actually Siti's third pregnancy. She tells us, "Both my other deliveries were C-section. I got to know recently that, if you have 2 C-sections in a row, there is a higher chance of having placenta previa, so I wanted to create awareness of this condition." The placenta is an organ that develops inside your uterus during pregnancy, providing oxygen and nutrition to, and removing wastes from your baby. The placenta connects to your baby through the umbilical cord. In most pregnancies, the placenta attaches at the top or side of the uterus. Placenta previa happens when the placenta is lying unusually low in the uterus, and partly or completely covers the cervix, which is the opening of the uterus. In a normal vaginal delivery, the baby passes from the uterus into the cervix and through the birth canal. In placenta previa, as your cervix opens during labour, it can cause blood vessels that connect the placenta to the uterus to tear. This can lead to bleeding and put both you and your baby at risk. Placenta previa can cause severe bleeding during pregnancy and delivery. Siti tells us, "I had many bleeding episodes in the first trimester, but even then my condition wasn't detected, in spite of the scans done." According to the Mayoclinic, "Bright red vaginal bleeding without pain, during the second half of pregnancy is the main sign of placenta previa." Some women also have contractions with the bleeding. Had placenta previa in a previous pregnancy. Siti's condition was confirmed only at 20 weeks, when she did the mid-pregnancy ultrasound scan, "The worst part was, upon getting the diagnosis, the doctor who helped to deliver my 2nd child refused to undertake this delivery, because this is a very serious condition, and happens only in 1 in 200 women." Siti was found to have complete previa, which means that, the placenta was completely covering the cervix. She reveals, "So at 20 weeks, I went in search of a gynaecologist specialising in high risk pregnancies." 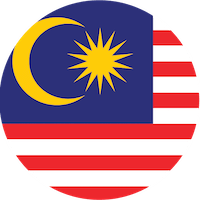 From June onwards, Siti, who works as hospitality admin, had to take hospitalisation leave, as she had difficulty in walking, "In July, when I was 30 weeks pregnant, I was hospitalised in Mount Elizabeth due to heavy bleeding." After 2 weeks, she felt that the bleeding had stopped and so insisted on going home. But she was wrong. She says, "At 32 weeks, I bled again. I ended up calling an ambulance at 1 am, and rushing to KK Hospital (KKH)." She delivered her baby finally on 22 August, at 34 weeks, through C-section. She informs us, "It was considered as one of the big surgeries of the day. 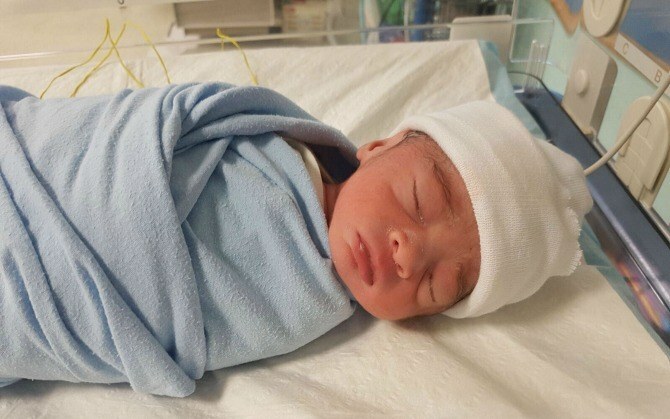 The C-section delivery was planned, and surgeons from Tan Tock Seng Hospital were also involved. A High Risk team from KKH was present. " Siti also had placenta accreta. Mums who have placenta previa are also more likely to have a placenta that's implanted too deeply into the uterus, and doesn't separate easily at delivery. This is called placenta accreta. Placenta accreta is a high risk condition that can cause massive bleeding, and the need for multiple blood transfusions at delivery. It can be life threatening and may require a hysterectomy to control the bleeding. Says Siti, "I had to do angiogram ballooning to prevent too much bleeding. I also needed a hysterectomy done, to save my life so that I wouldn't bleed to death." "I was lucky i didn't need bladder repair as well, as the placenta was also invading the bladder." Siti tells us that though the doctors had planned for 4-5 bags of blood for transfusion, she ended up needing around 7! 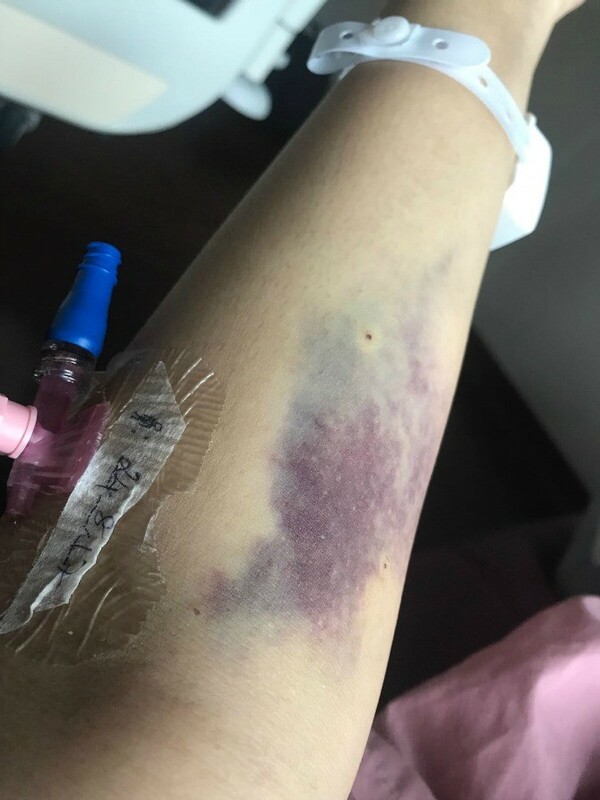 "I got admitted at 8 am, and the surgery ended at 3:30 pm. I had to be kept in ICU for one day." Little Adil, who weighed around 2.07 kg, was thankfully fine, and taken to Special Care Nursery. Hopefully, it's the end of Siti's ordeal and so far this mummy of 3 has been recovering well. Her muscles are still weak due to the continuous bed rest though, and currently, a physiotherapist is helping her regain the ability to walk normally. In case of multiple C- section deliveries, do make sure to check for placenta previa. Read up a lot about it. It is easy to take it lightly and dismiss it as just another condition, but the reality is that it is an extremely risky condition. She tells us, "I don't want to scare other mums but fact is, I almost lost my life...too many things were going on..."
Check for support groups online, like the Placenta previa support group on Facebook. I was lucky that KKH offered me motivational support too. Thank you so much, Siti for sharing your story with us. We hope you regain you health soon. Here's wishing this beautiful family peace, love and happiness!